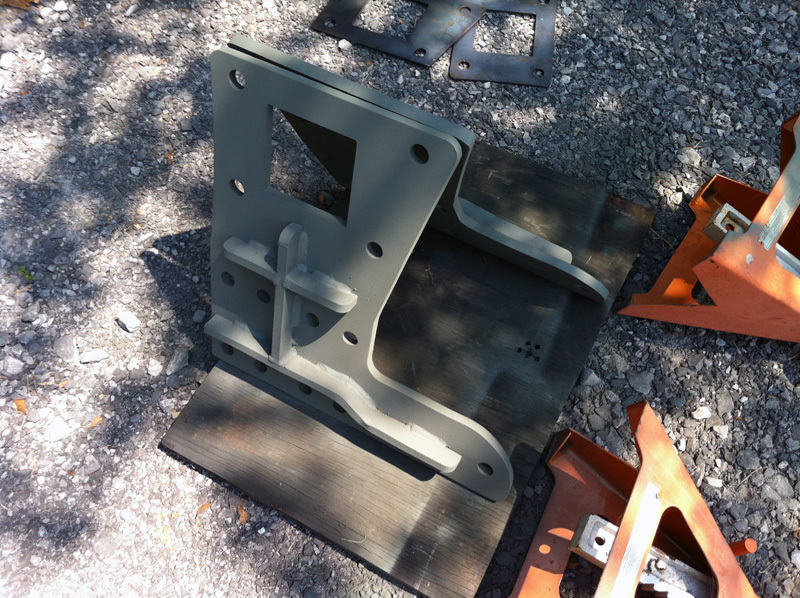 Most who know me know that I'm a big fan of section modulus, strength of materials, safety factor and such. 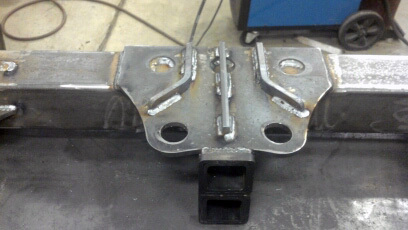 I had Black Rock "over engineer" the hitch with added gussets and support bars with heim joints. 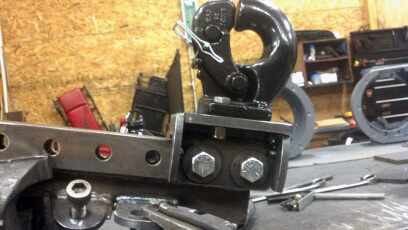 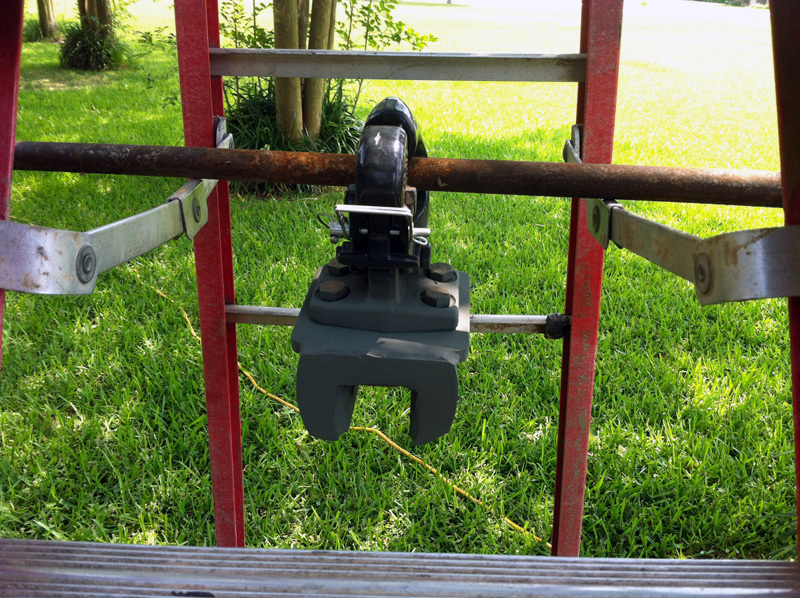 The drop hitch consists of 1/2" plates that are bolted to the deuce frame using the existing bumperette hole locations plus a bunch of new 3/4" holes. 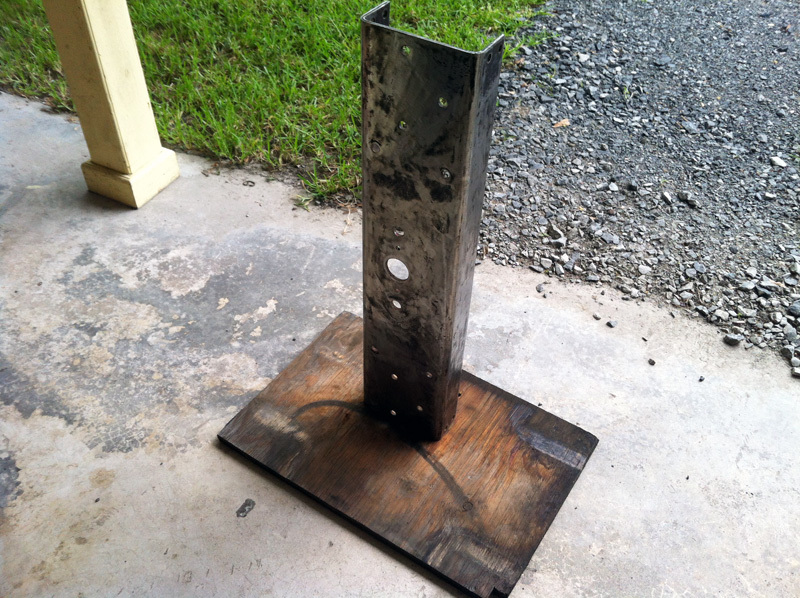 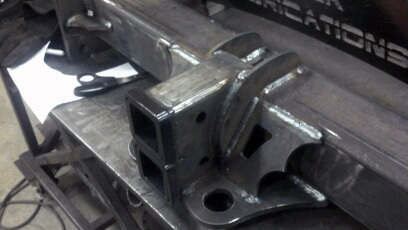 Sandwiched between the 1/2" plates is a cross bar made of 4x4" tubing with flanged ends. 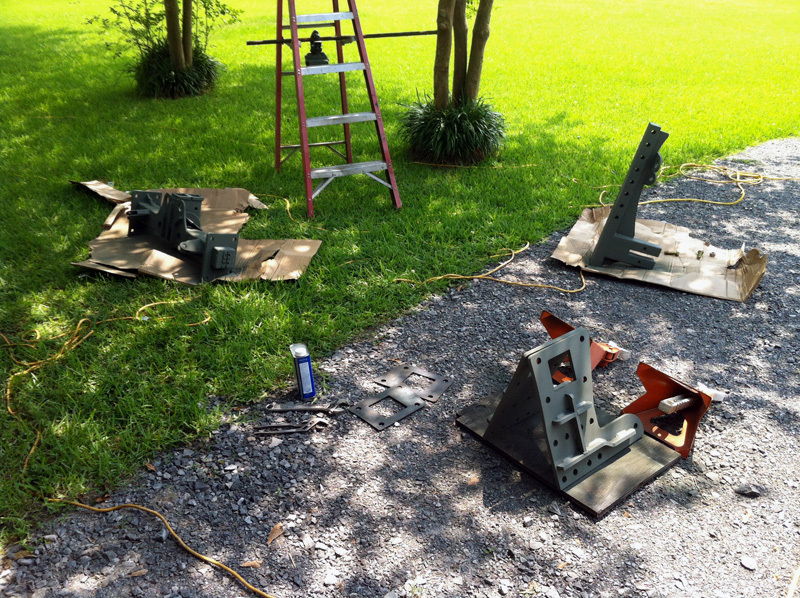 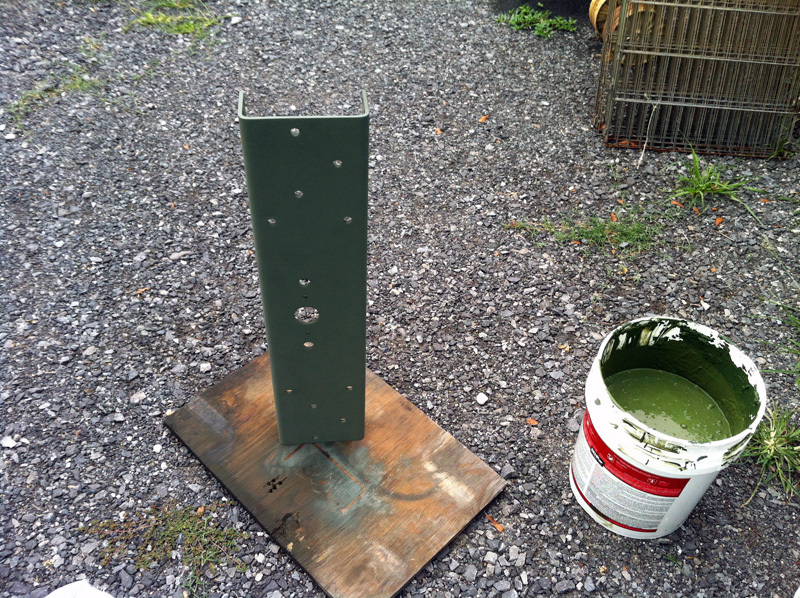 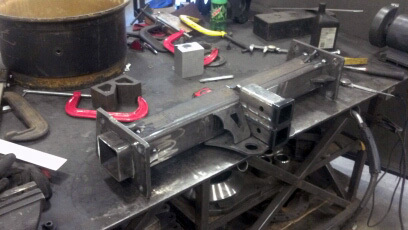 Dual 2" receivers were welded together and heavily braced into the cross bar. 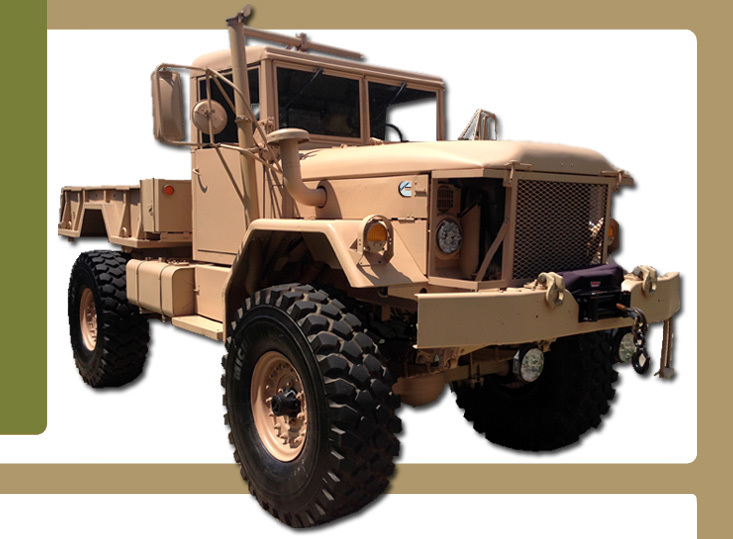 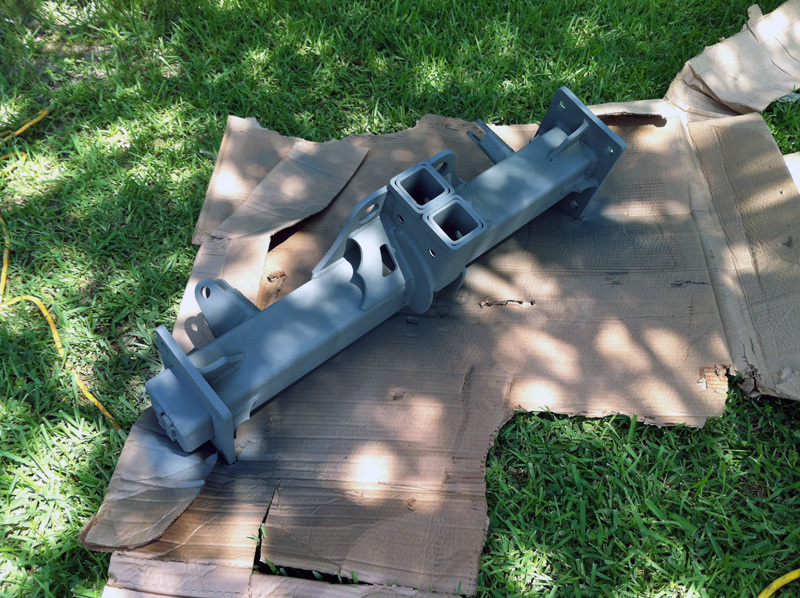 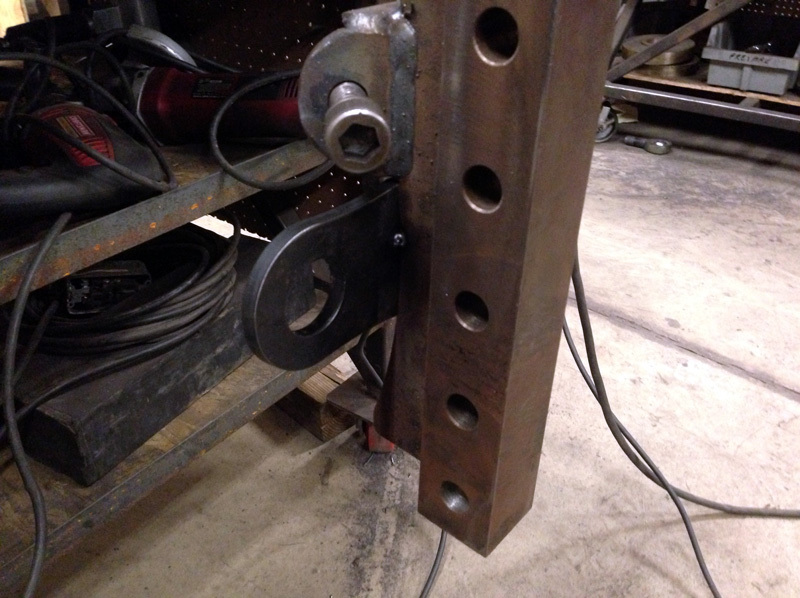 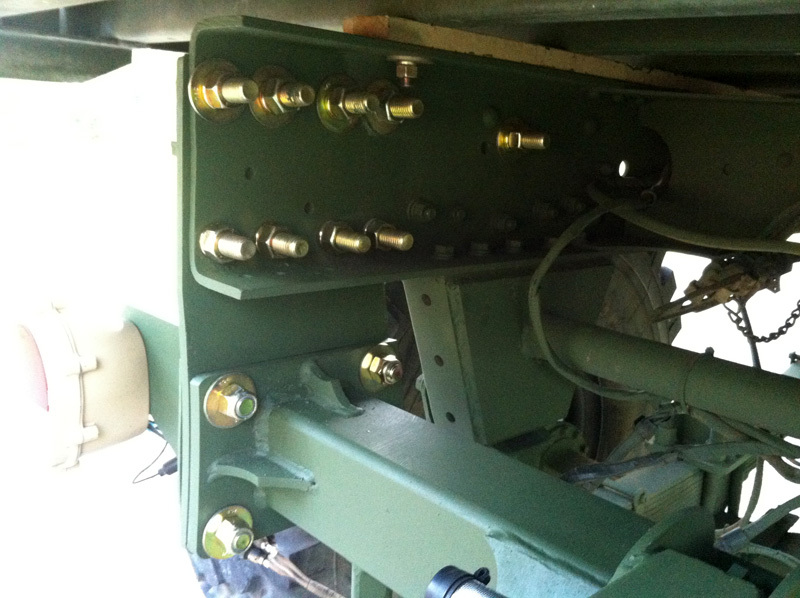 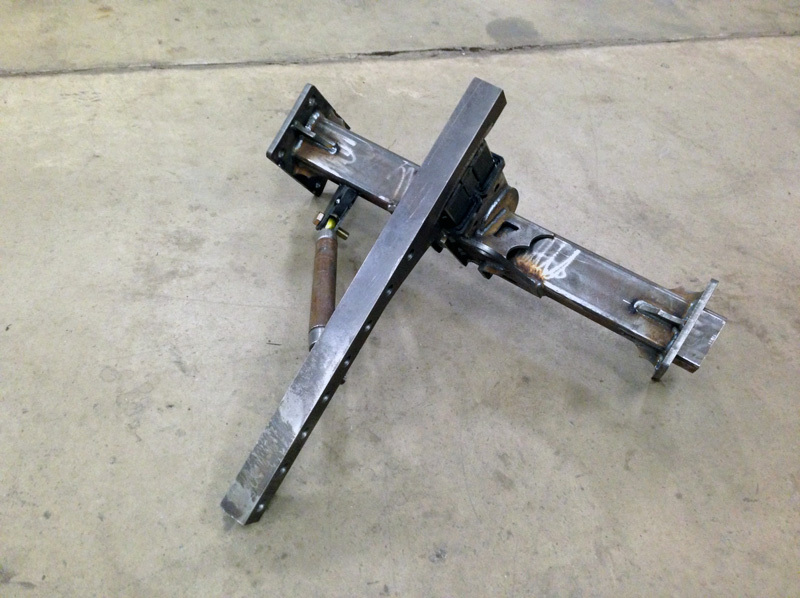 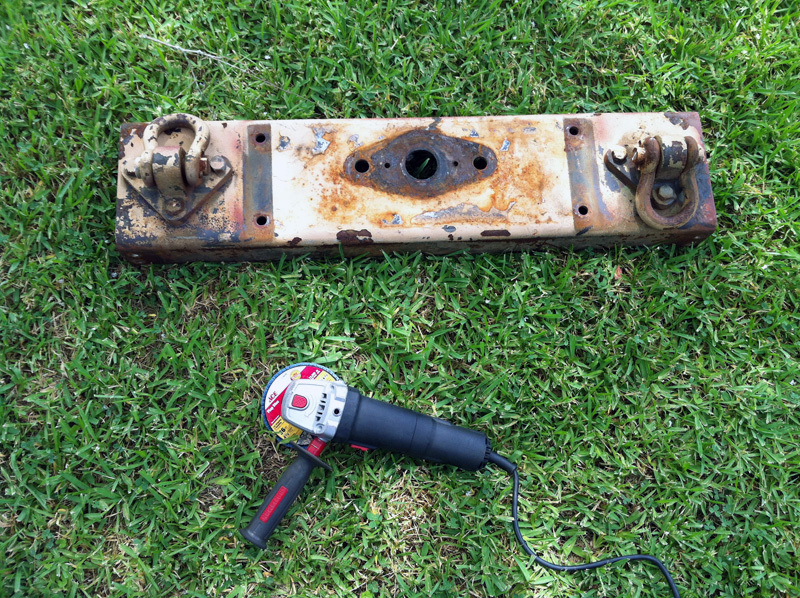 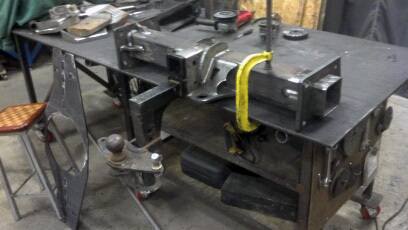 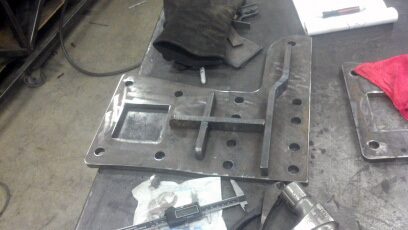 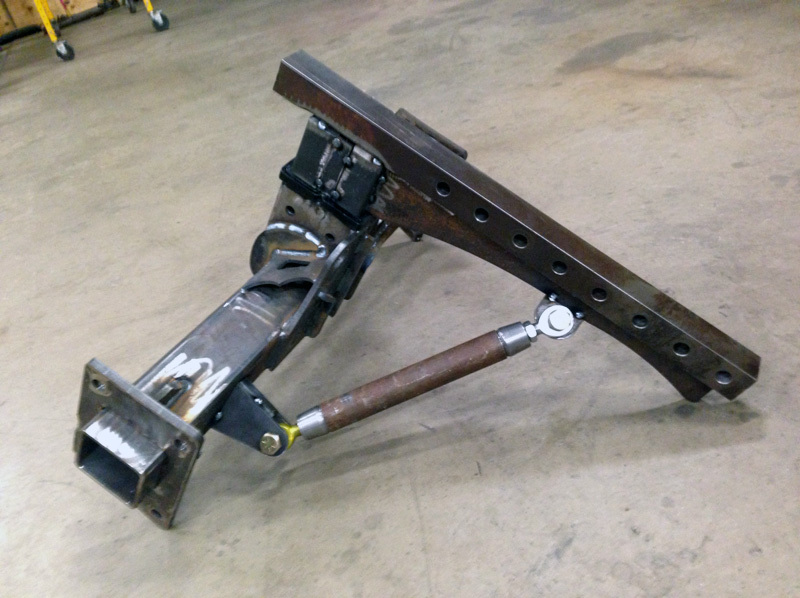 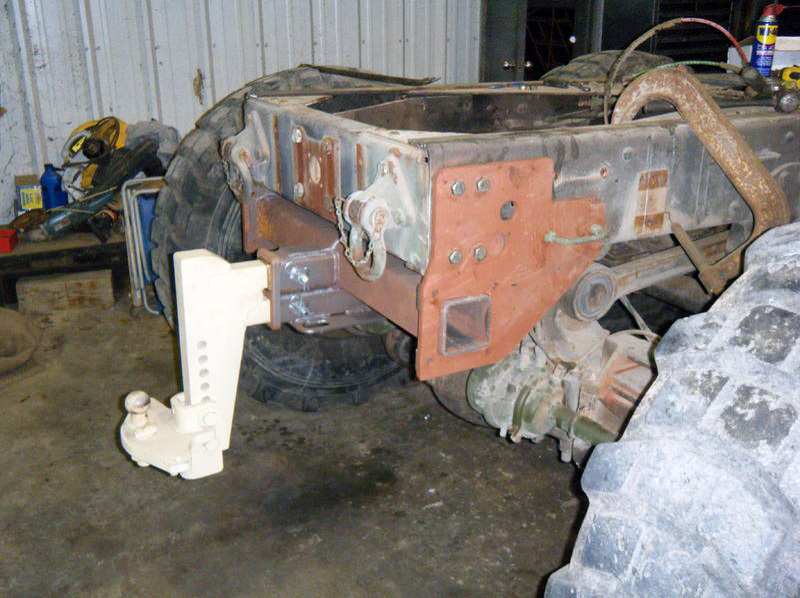 The drop bar consists of 2" solid bar stock that was drilled for multiple hitch locations. 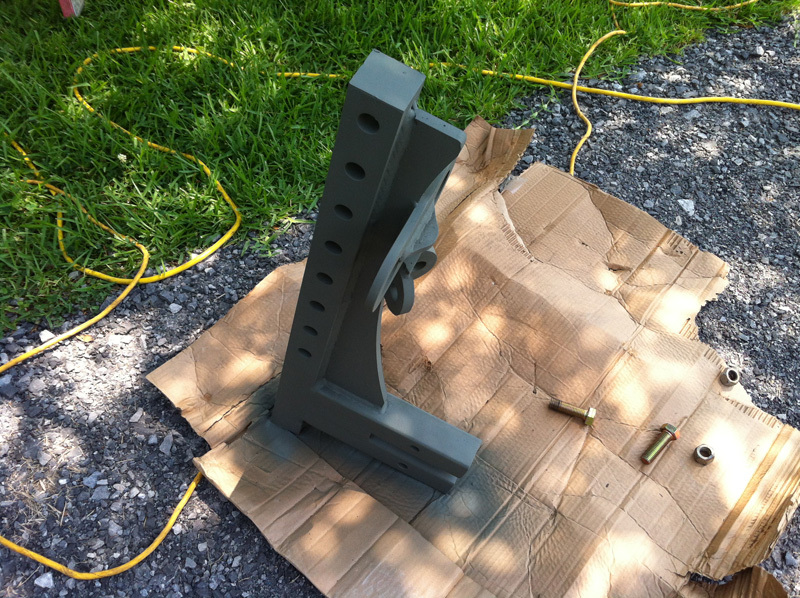 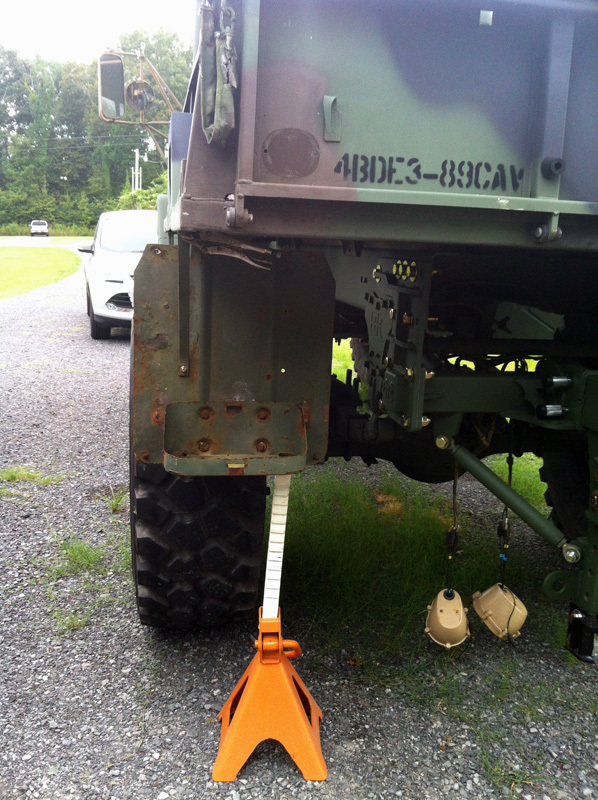 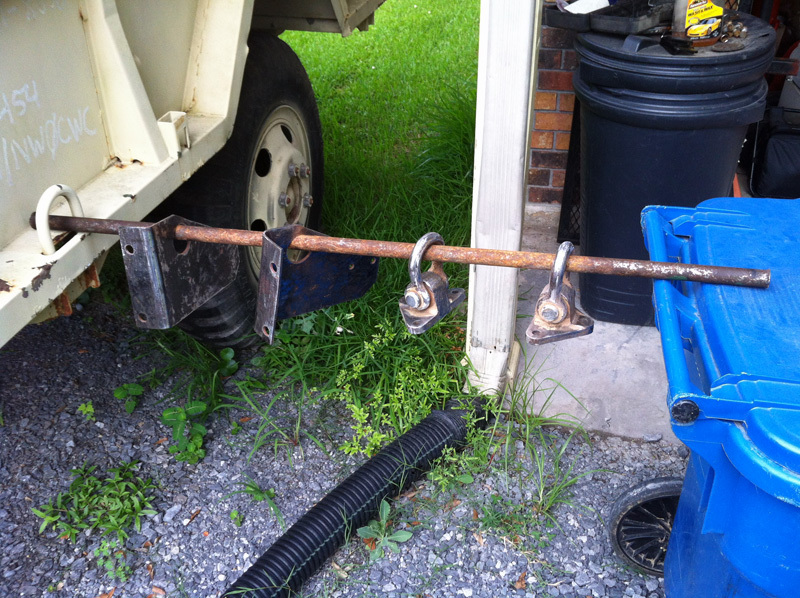 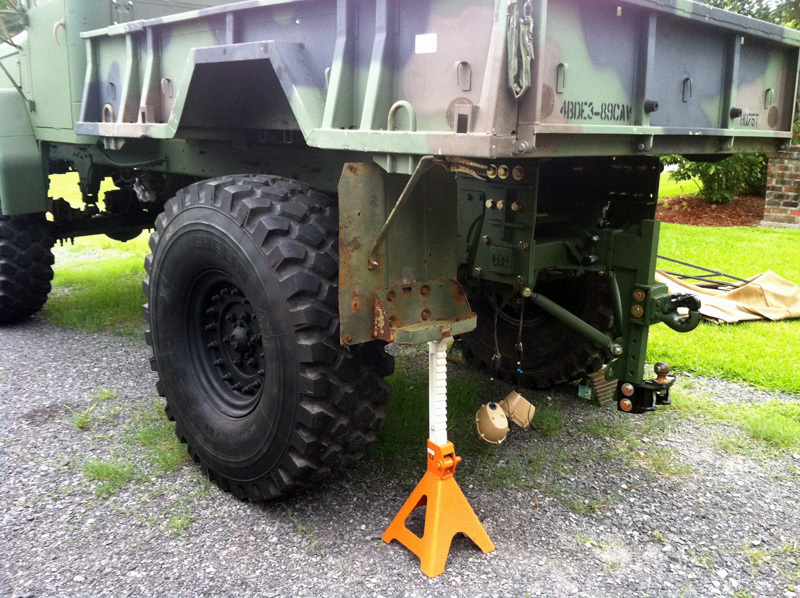 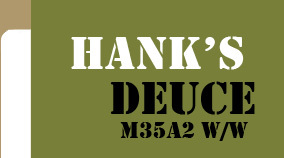 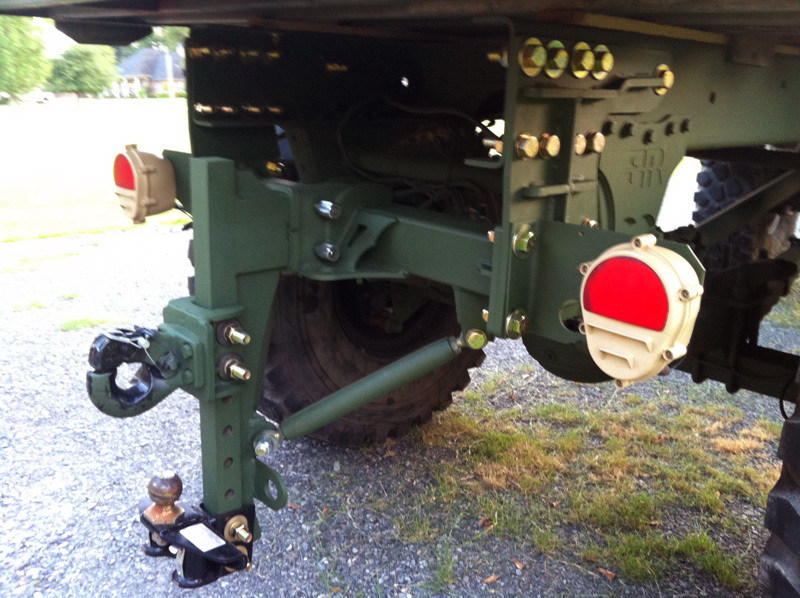 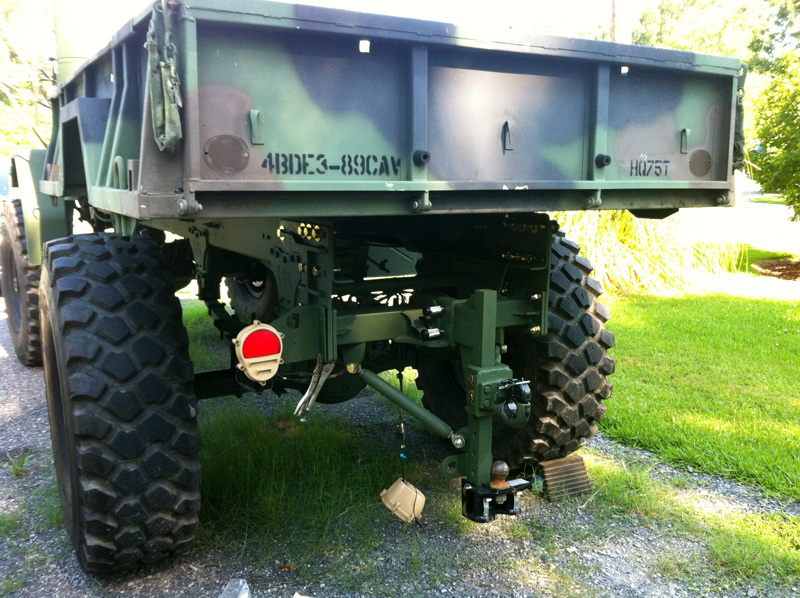 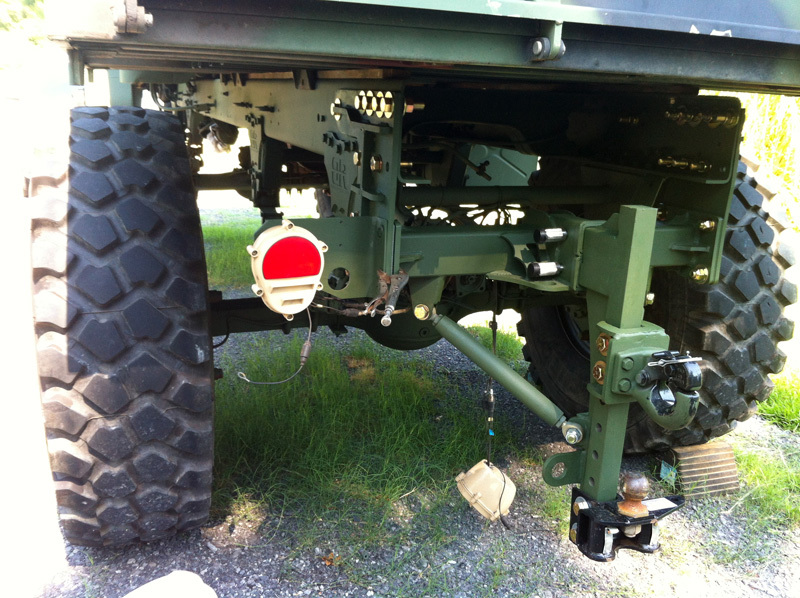 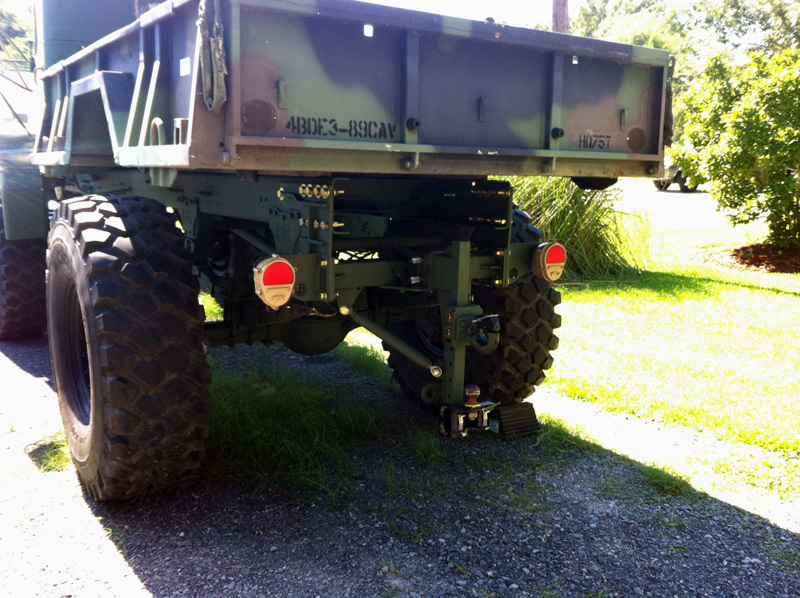 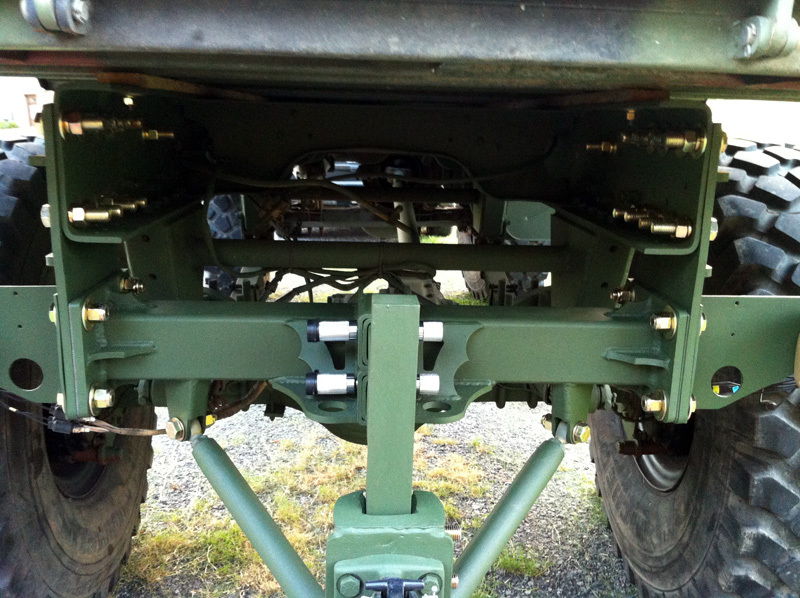 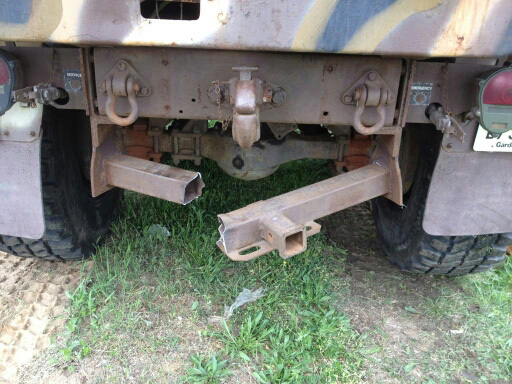 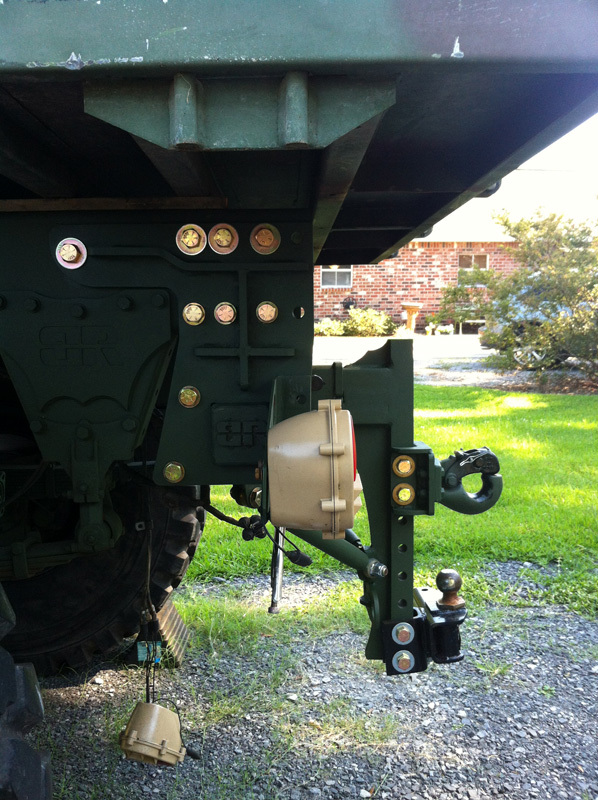 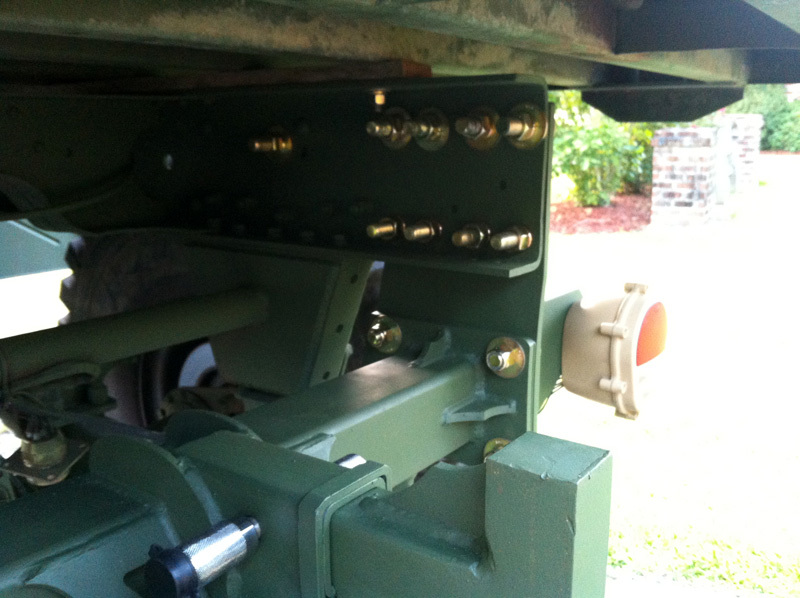 I opted to use both a pintle hitch for my military trailers as well as a ball hitch for my civilian trailers. 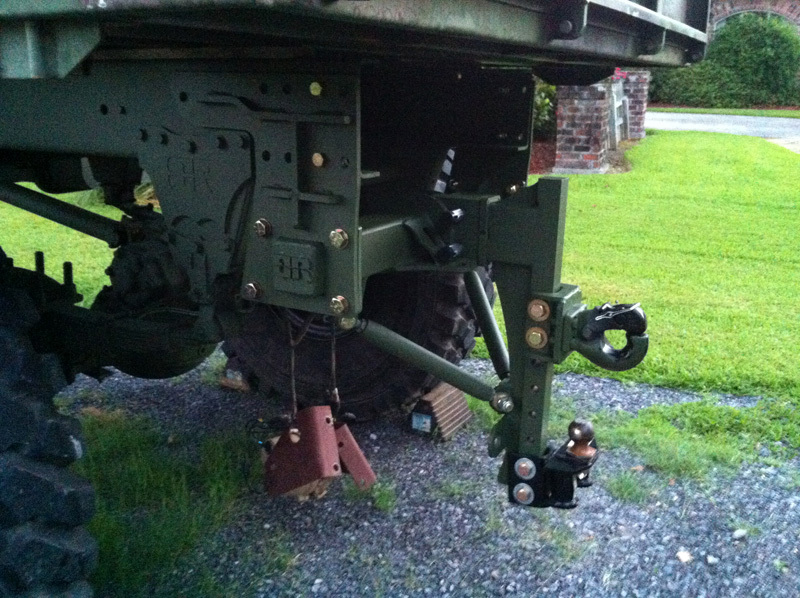 The way that I have it setup the ball is 20" above ground level (same as my Ford Expedition), and the pintle is 33". 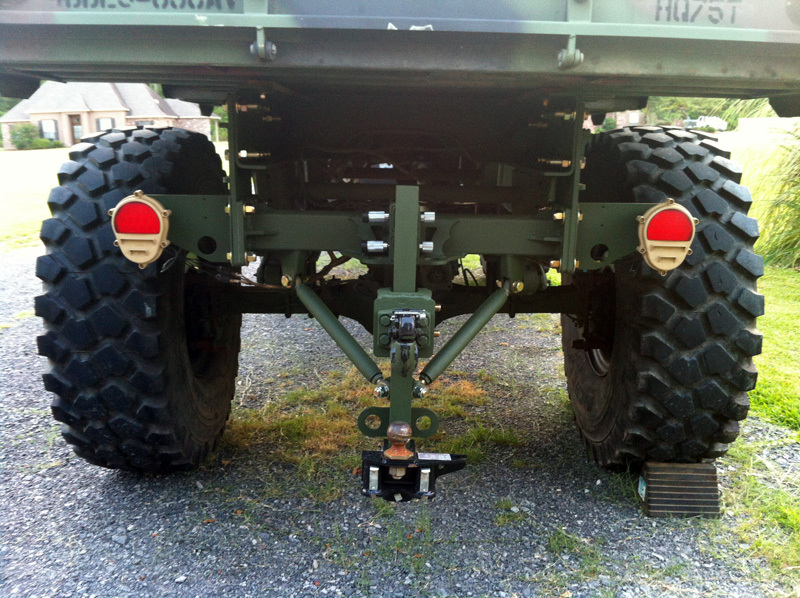 I relocated the LED tail lights lower for a different look and better visibility.